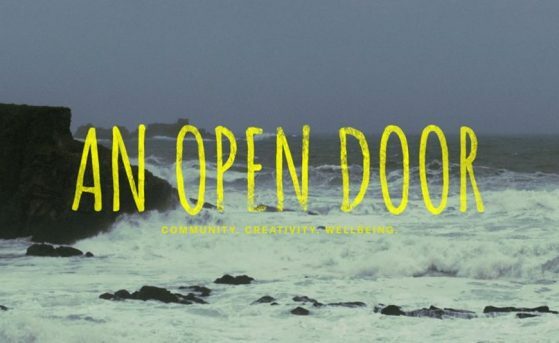 An Open Door is a short film by Aoise Tutty exploring Skibbereen’s pioneering adult mental health service, 49 North Street, which provides a space for hope and recovery for the local community. The film will be screened as part of the Irish Shorts 5 programme at Cork Film Festival on 15 November 2018. 49 North Street is an initiative of the HSE’s Cork Mental Health Services and uses models of co-production and collaboration as its foundation. A dedicated creativity and wellness hub serving communities in West Cork, 49 North Street aims to create a space where learning, therapeutic activities, creative expression and diversity can flourish. Reflecting on darker times, the participants of An Open Door discuss the importance of 49 North Street in their lives. By providing a space which welcomes creative expression, and allows ideas and community to flourish, the film poses the question: ‘How can we continue to bridge the gap between the stigma often associated with “Mental Health” and a more universally identifiable journey of “wellbeing”?’ An Open Door is directed by Aoise Tutty and produced by Tamlyn Griggs and has been funded by Cork and Kerry Community Healthcare Mental Health Services.